Across the country, conservative lawmakers are targeting activists in an attempt to silence the resistance movement. Here’s how you can fight back. 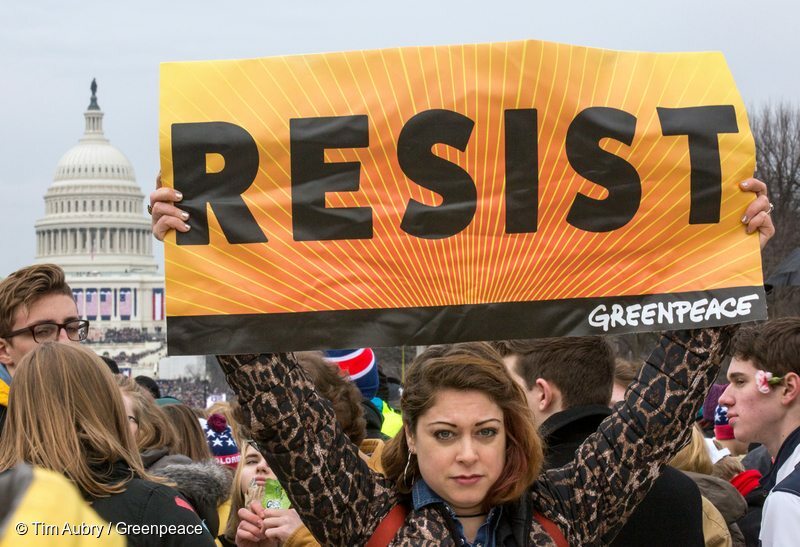 As the resistance to Donald Trump’s dangerous agenda has grown, so have the efforts to silence activists fighting for social, economic, and environmental justice. In 19 states so far, Republican legislators have introduced laws that would crack down on protesters, infringing on the right to free speech, undermining democracy, and putting lives at risk. These attempts to silence dissent should be huge red flags for anyone — Democrat or Republican — who values the First Amendment rights to free speech and assembly. No matter where you live, we can’t allow these attacks on our democracy to go unchecked. Here are just some of the threats to peaceful protest we’re up against. 1. 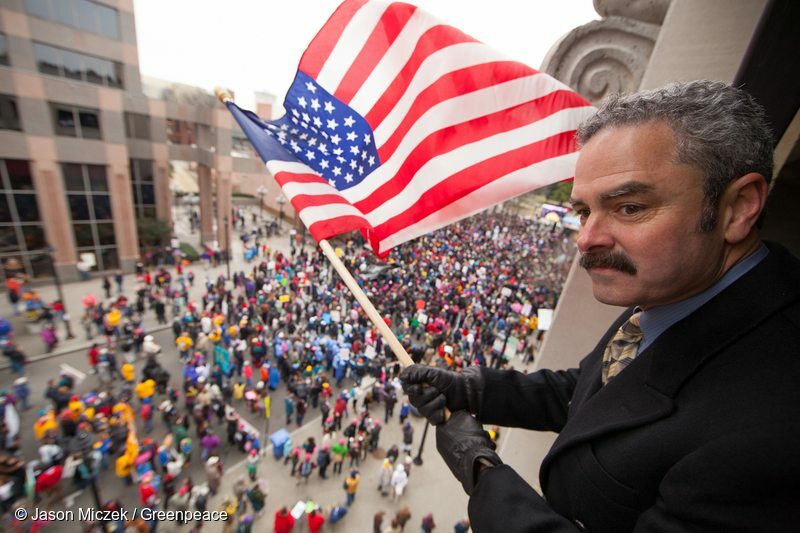 In North Dakota, it could become legal to hit a protester with you car. A phalanx of National Guard and police advance toward water protectors in Standing Rock. In North Dakota, where we just protested with Indigenous allies against the Dakota Access Pipeline, a bill introduced in January would allow drivers to mow down protesters with their car. If the driver’s actions are deemed unintentional, they won’t be held legally accountable for hitting a protester in the street. Republican State Representative Keith Kempenich said he introduced the bill in direct response to the water protectors and justified the extreme measure by equating protesting in roadways to terrorism. 2. In Minnesota, protesters might be sued to pay the police. Hundreds of people marched through Minneapolis after 18-year-old Robbinsdale, MN resident Tania Harris was shot by police in 2015. 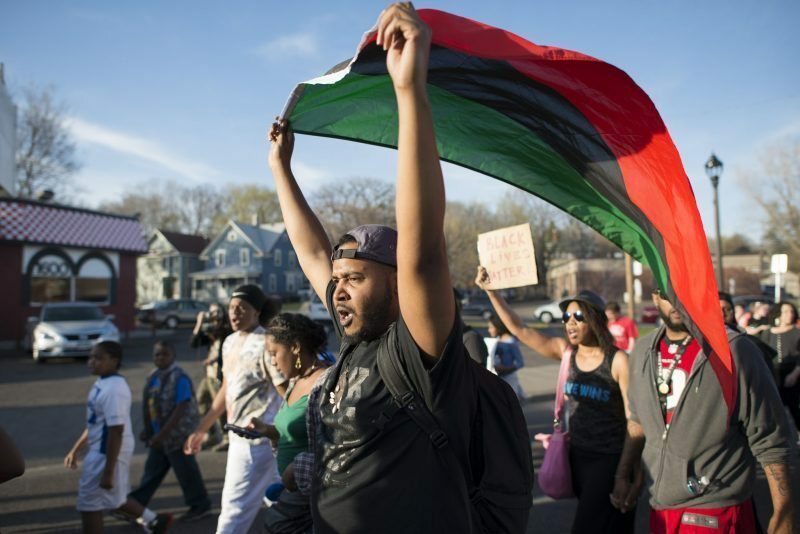 Minnesota is another state advancing anti-protest legislation in direct response to the work of progressive organizers, this time the Movement for Black Lives. There, Republican State Representative Nick Zerwas has introduced a bill that would let cities sue protesters convicted of misdemeanors for the cost of police response to their events. Never mind that the protests Zerwas was responding to erupted in response to the murder murder of innocent Black people at the hands of the police. Under this bill, protesters would be responsible for paying — beyond the tax dollars they already contribute — the very police force responsible for killing their own community members. 3. In Michigan, anti-union laws protect corporations over workers. 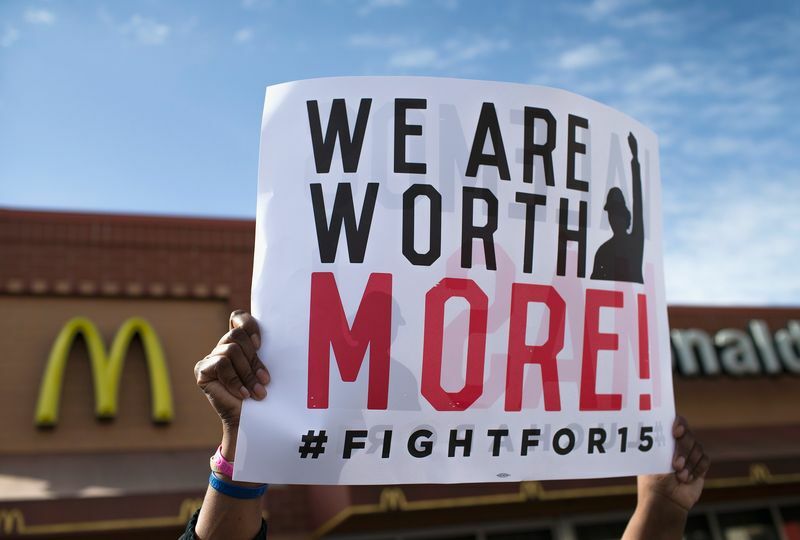 Protesters with Fight for $15 Detroit rally for living wages outside a McDonald’s. Anti-protest legislation introduced in Michigan also has a specific target: blue collar workers and unions. In December, the state’s House of Representatives passed two bills that crack down on workers’ right to assembly while simultaneously making it easier for for employers to replace striking workers. Michigan already has an anti-picketing law that carries up to 93 days in jail and a $500 fine — but that’s not enough for GOP lawmakers. 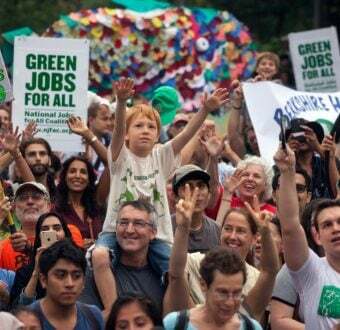 They’re seeking to double the maximum fine for individuals and impose a whopping $10,000 fine for unions that organize illegal protests while lowering the evidence threshold necessary to impose those fines. The bills’ authors cited Fight for $15 and other recent workers’ rights protests as impetus for the crackdown. Moral Monday march in Raleigh, North Carolina. Home to some of the most effective organizing in the country — like the Moral Mondays movement — North Carolina is also the site of one of the most sinister attacks on peaceful protest. A House bill introduced last month would create a new felony charge for any crime that causes upwards of $1,000 in damage to any business and label to perpetrator an “economic terrorist.” The bill’s language is so broad that it could implicate folks like Moral Mondays architect Reverend William Barber, protesters who peacefully block traffic, and even boycott organizers. And it doesn’t stop here — these four states speak to a disturbing trend across the country. Washington state is weighing its own “economic terrorism” charge; Arizona lawmakers have introduced a bill that would open protesters to charges created to prosecute the mafia; Colorado, South Dakota, and Oklahoma could pass legislation specifically targeting pipeline activists; and Mississippi wants to put protesters who block traffic in prison for five years. These are chilling attacks on our right to fight for social, economic, and environmental justice. 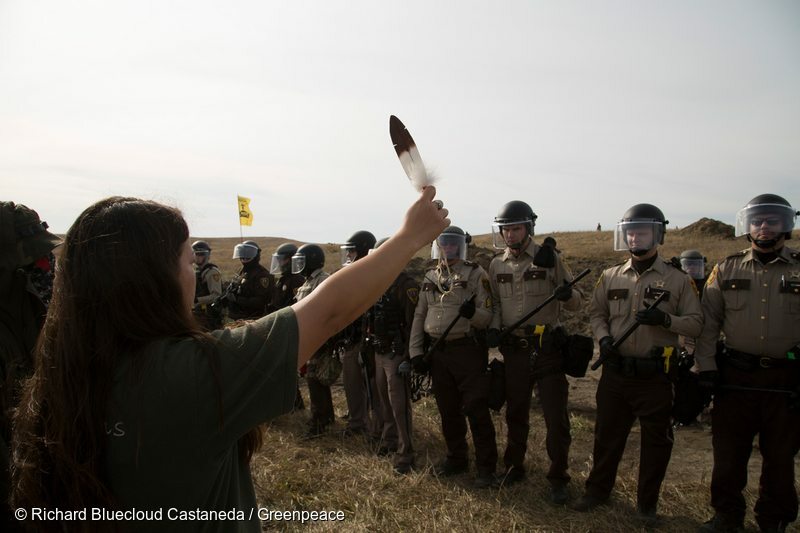 Greenpeace’s power lies in our direct action, in joining together and resisting threats to our climate and communities. We and our allies cannot succeed without organizing, mobilizing, and speaking out as a unified movement. But we won’t be silenced — and we know you won’t either. Contact your Congressional representatives today to defend free speech and the right to peaceful protest. Rebecca Gerber is a Senior Online Strategist at Greenpeace USA. 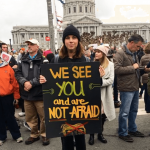 She works as part of Greenpeace's RESIST project that aims to inspire and mobilize millions of people to take action against the Trump Administration's anti-climate agenda.